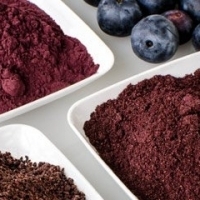 Browse fruit-powder suppliers by country and region. About Our Organic Guarana Powder Guarana is a name that has become extremely familiar in the mainstream consumer world as a caffeine substitute in an ever widening list of "energy drinks". A native evergreen sprawling shrub like vine of the Amazon region, the guarana tree produces red berries that have been used like coffee in its native Brazil for centuries. The Guarana plant is a climbing woody vine from the maple family, Sapindaceae, native to the Amazon basin and especially common in Brazil. In Brazil it is widely employed to flavour carbonated soft drinks. Guarana features large leaves and clusters of flowers, and is best known for its fruit, which is about the size of a coffee berry. Each fruit harbours one seed which contains approximately five times as much caffeine as coffee beans. Guarana Fruit When ripe the fruit partially opens and at this stage the seeds are harvested, to prevent them from falling on the ground, then roasted, dried and grounded into a powder. As with other plants producing caffeine, the high concentration of caffeine is a defensive toxin that repels pathogens from the berry and its seeds. 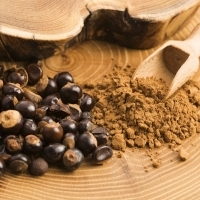 Native Indians still consider the effects of guarana to be supernatural in nature. The seeds of the berry are dried, roasted and then brewed to make a drink that is at first bitter and slightly astringent, then sweet. Approved Health Benefits of Guarana Powder * Micronutrients in Guarana Powder contribute to: tiny energy-yielding metabolism tiny normal psychological function tiny nervous system support tiny promotion of the cardiovascular health * These approved health benefits are based on the detailed nutritional composition of the product we supply. These health benefits may not be applicable to similar products from other suppliers. Short on time? Let fruit-powder sellers contact you. 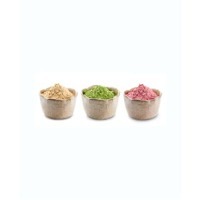 Baobab Powder & Fruits Nourish your body with baobab fruit powder! Made from 100% organic baobab (pronounced bey-oh-bab), a wild-harvested superfruit native to Africa and parts of Australia, this fruit is loaded with fiber, antioxidants and electrolytes. It has a nice citrus flavor that works well simply mixed in water, smoothies or juices for a healthy sports drink. 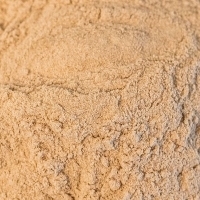 Baobab fruit powder can also be added to yogurt, oatmeal and baked goods. What Does Baobab Fruit Powder Taste Like? The baobab fruit is a tangy fruit with a citrusy flavor - delicious! Since this powder is made from 100% organic baobab fruit pulp, you’ll get to experience that same great fruit flavor in whichever way you decide to use the powder. 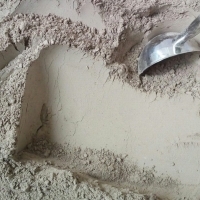 How to Use Baobab Fruit Powder For an all natural sports drink, stir one tablespoon of baobab fruit powder into 16 ounces of water until it dissolves. It can also be blended into smoothies and juices, or mixed into yogurt and oatmeal. Try baking baobab fruit powder into breads, muffins and cookies to reduce their glycemic load. Just add a couple tablespoons to the dough or batter before transferring it to the oven. You can also try baobab powder in pancake batter for a hint of citrus flavor. There’s no shortage of ways to incorporate the delicious, nutritional goodness of baobab into your diet! Health Benefits of Baobab Fruit Powder 1) Bioavailable Source of Vitamin C: A single serving of baobab fruit powder (approx. 2 tablespoons) provides 25% of the daily value for vitamin C. The high bioavailability of vitamin C and other antioxidants in baobab means that they are easily absorbed by your body, which maximizes efficacy of the nutrients. Vitamin C is an essential nutrient to boost the immune system, support heart health, and protect against premature skin aging. 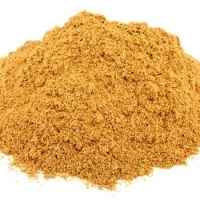 2) High in Dietary Fiber: That same serving of baobab fruit powder provides six grams of dietary fiber, which helps you meet 24 percent of the recommended daily intake. It's a good source of both insoluble and soluble fiber, so it not only supports the digestive system, but can help stabilize blood sugar levels as well. 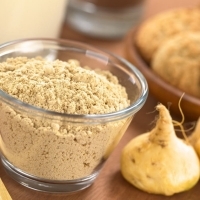 Considering that most Americans aren't getting enough fiber, a little baobab fruit powder can really help. 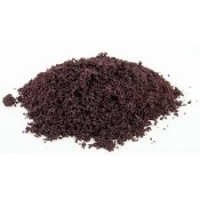 My company is manufacturers and supplier hight quality Noni powder product from Vietnam. 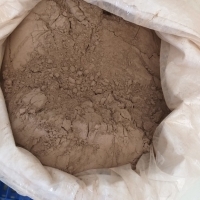 We have business stable and we provided a lot of customer in many year Specification: -Style: 100% Dried Noni Powder -Grain size: Not more than 75% through mesh 250Î¼m. -Moisture: 10% max -Preservatives; Additives; SO2; CO2; Impurity: Non -MOQ: 8 tons/container 20 feet -Packing: 20kg/PP or as customerâ?? request We are looking for all of importer, who interesed about my product. PAYMENT TERM : 30 % Advance &amp; 70% against BL scan copy. or 100 % irrevocable L/C issued by a regular INTERNATIONAL BANKS. TIME OF SHIPMENT : 8 days from receiving date of orginal L/C or TT DOCUMENT : B/L; Invoice; packing list; C/O; Fumigration cert; Phytosanitary cert; Cert of quality and weight. 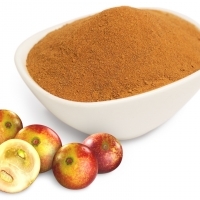 Apple Juice Powder Product Name Spray Dried Apple Powder Appearance pale Yellow Color Taste Characteristic flavour Bulk density 0.65-0.80 g/ml Particle size 100% passes #30 mesh. Total Acidity NMT 2 % (as citric acid) pH 10% sol. 4.0- 5.0 Moisture Max 5.0% Total Ash Max 4.0% Microbiological Data Total Plate Count NMT 1000 cfu. 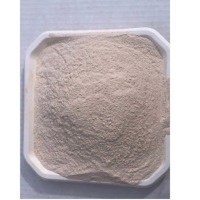 per g Yeast & Mould NMT 100 cfu. per g E. coli Absent Salmonella spp. Absent Shelf Life 1 Year Health/dietetic foods, baby/weaning foods, breakfast Usages : cereals, flavourings in pharmaceutical preparations, etc. Orange Juice Powder Product Name Spray Dried Orange Powder Appearance Yellwo to orange Color Taste Characteristic flavour Bulk density 0.65-0.80 g/ml Particle size 100% passes #30 mesh. Total Acidity NMT 3 % (as citric acid) pH 10% sol. 4.0- 5.0 Moisture Max 5.0% Total Ash Max 4.0% Microbiological Data Total Plate Count NMT 1000 cfu. per g Yeast & Mould NMT 100 cfu. per g E. coli Absent Salmonella spp. Absent Shelf Life 1 Year Instant beverage premixes, fruit salads, jellies, milk shakes, Usages : puddings, desserts, custard, bakery products, health foods, baby/weaning foods, etc. 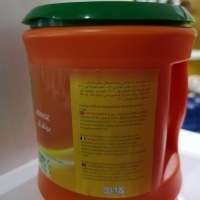 Mango Juice Powder Product Name Mango Powder ( Spray Dried) Appearance Yellow to Orange Taste Characteristic flavour Bulk density 0.65-0.80 g/ml Particle size 100% passes #30 mesh. Total Acidity NMT 3 % (as citric acid) pH 10% sol. 4.0- 5.0 Moisture Max 5.0% Total Ash Max 4.0% Microbiological Data Total Plate Count NMT 1000 cfu. 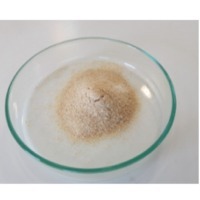 per g Yeast & Mould NMT 100 cfu. per g E. coli Absent Salmonella spp. Absent Shelf Life 1 Year Instant beverage premixes, fruits salads, jellies, milk sakes, Usages : pudding, desserts, custard, bakery products, health foods, baby/weaning foods, etc.